The process is extremely simple. Below is a step by step guide of how to register as a developer and sign up for the Developer Program. 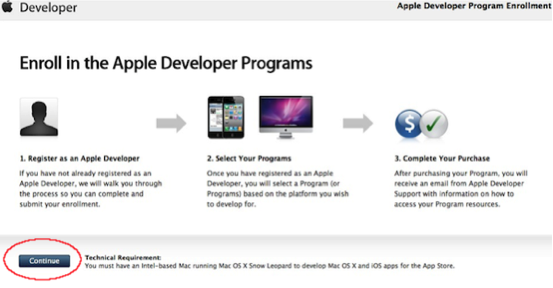 To publish an iOS App using the AppBuilderOnline.com Apps platform, you have to first register as an Apple Developer and then pay to join Apple's Developer Program. 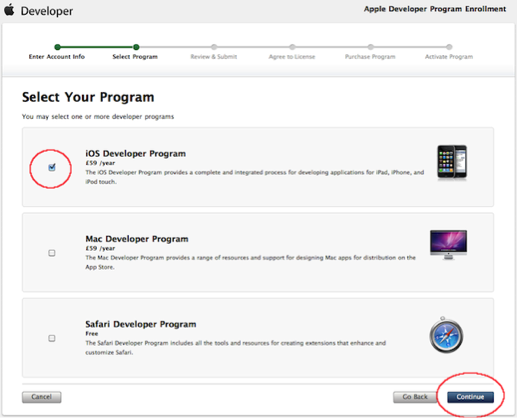 Joining the Developer Program enables you to publish Apps to Apple's App Store. 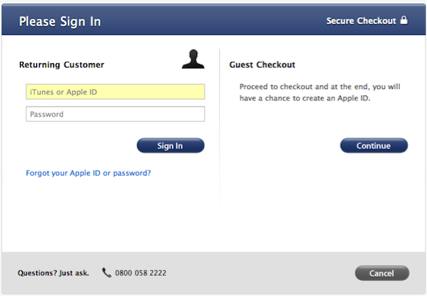 Go to: http://developer.apple.com/programs/ios/ then click "Register" in the top right hand corner. 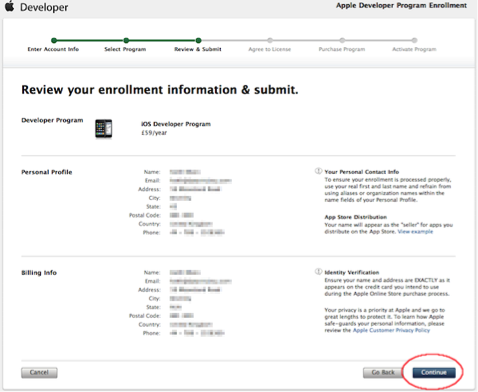 Select option to create new account under New Apple Developer and on the following screen choose to sign up as an individual. 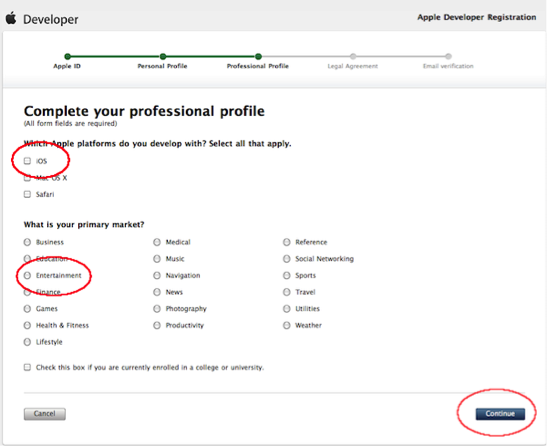 Complete the personal profile information then When completing the Apple ID personal profile, please remember that you will need to provide these details to AppBuilderOnline.com Apps upon successful sign up. Therefore please do not use a password that you use elsewhere. In the professional profile choose iOS> Choose your primary market> New> No other platforms then "Continue". 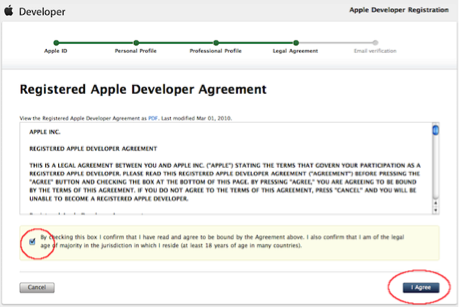 Check the box to agree to the Developer Agreement and click "I Agree". 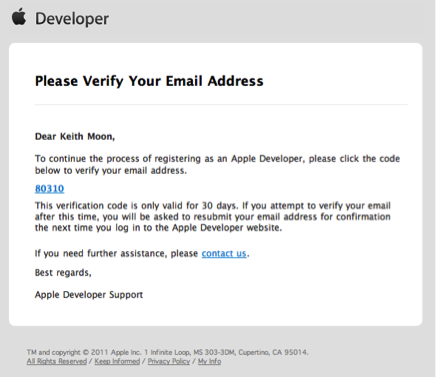 An email will be sent to the signup email address with a code to verify. 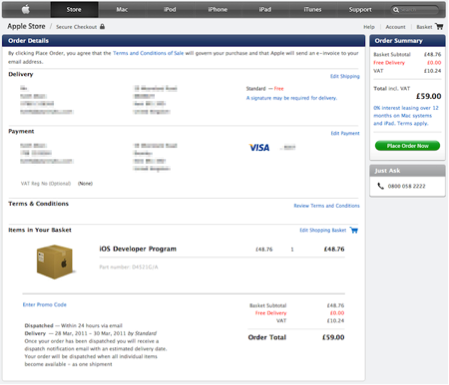 Once the code is verified there will be a confirmation screen. 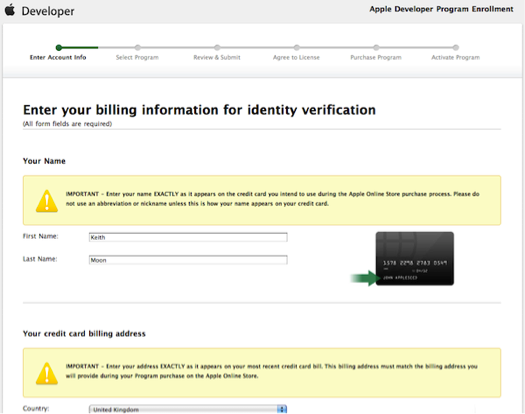 Following this will be a screen to setup billing information. 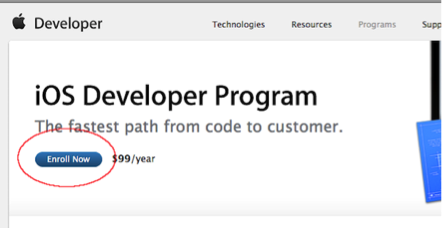 Select iOS Developer Program then "Continue"
Review all information then "Continue"
Confirm purchase of one iOS Developer Program then proceed to checkout. When signing up for multiple accounts you will probably have to login again with each new account to proceed. 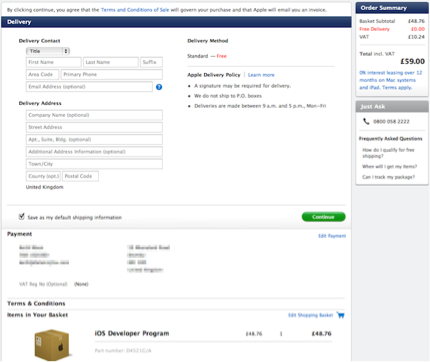 Complete delivery information (this is digital but Apple still requires for tax). 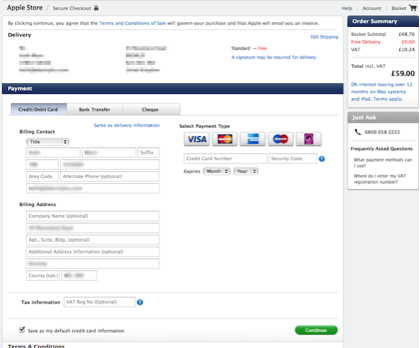 Complete credit card and billing information then "Continue"
On the following screen confirm all information then click "Place order now"
Please pass the email address and password used in this process to AppBuilderOnline.com Apps, so that we can correctly configure your account.